So, this weekend I decided to channel my Mama’s love through one of her favorite pastimes…baking cookies. 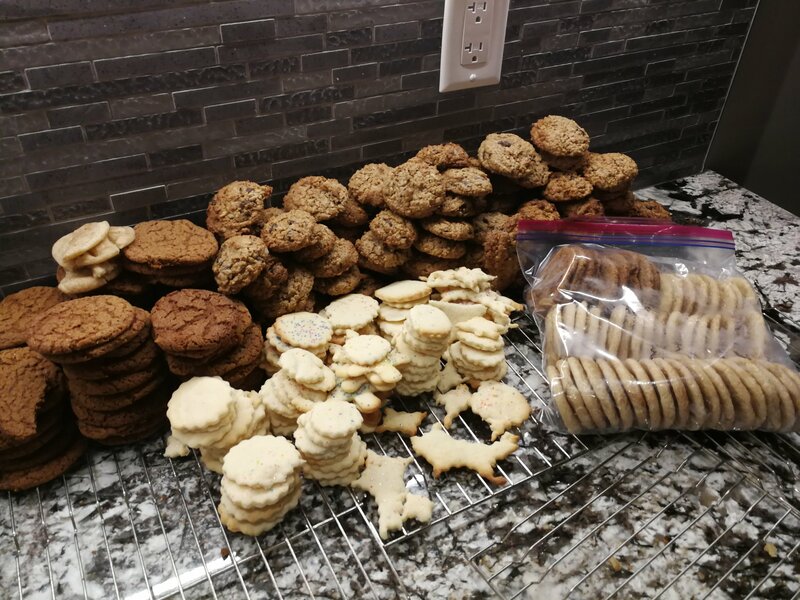 She loved handing down her traditions of how to do it – she actually had some cookie baking days with several of my friends, always happy to teach them her recipes. 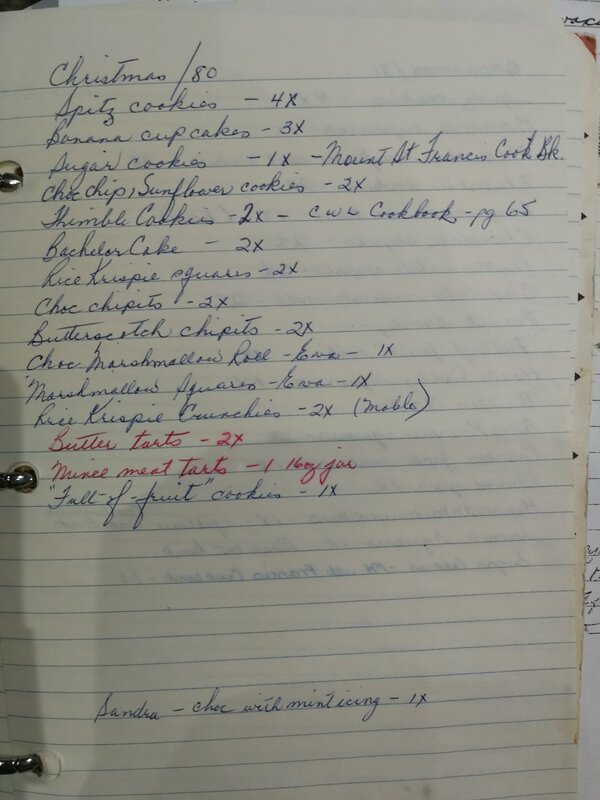 Christmas with Mom was always a huge selection of cookies (she even kept a list like Santa), no batch ever made in a single portion. Yesterday all thoughts of cleaning the house or running errands were thrown out and replaced with Christmas carols and the sound of the blender. The oven kept things warm and the atmosphere cheery as I “spent time with Mom” baking cookies. There were snickerdoodles (she never made them but a surprise batch for her brother was in order), gingersnaps (always a dilemma – chewy like I like, crunchy like others or if I can swing it a crunch on the outside & chewy in the middle), chocolate chip sunflower seed coconut cookies (quadrupled recipe in Mom’s writing because there is no sense making a single), and some sugar cookies. Today it will be kucha, spritz press cookies, and perhaps a bachelor cake…. and people wonder why a single gal has great big freezer. (Better the big freezer then bigger hips). I went out last night for a friend’s birthday and when I walked back into my home the scent of love and Christmas wafted and encircled me…it was as though Mom was here and I could almost feel her loving arms around me and giving me that much needed hug. So, if you still have your Mom and Dad close I hope you are blessed to collect an extra hug from them and make a point of creating another memory for yourselves this Christmas. If they are only close in spirit as mine now are may you have the special memories to keep them close (like Dad frustrating and teasing me by waiting for the raw cookie dough to be formed and placed carefully on the sheet to be baked before swooping in to scoop 1, 2 or 3, or Dad gobbing peanut butter on the hot out of the oven from scratch cinnamon buns I had just made to get a rise out of me or baking with Mom). such lovely memories Glenna, and I am so happy you have them to draw upon. Keep writing, always a pleasure to read. Much love to you.